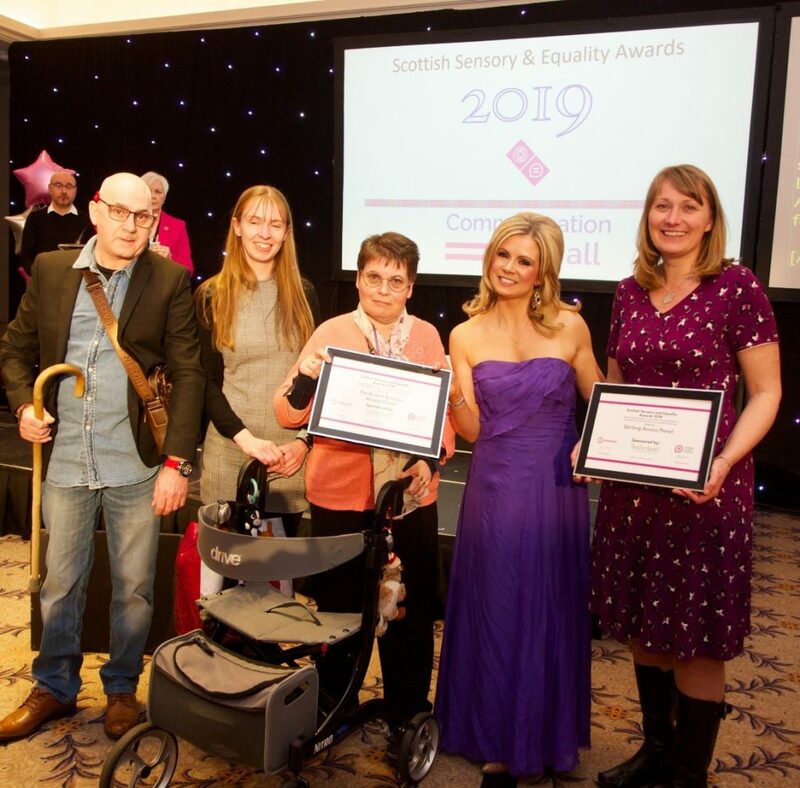 Three Access Panels were last week recognised for the outstanding contribution they have made to sensory equality and inclusive communication at the Scottish Sensory and Equality Awards. Awarded runners up in the category of Outstanding practice, innovation and dedication to sensory and inclusion in a specific local area, Lochaber Access Panel, Perth and Kinross Centre for Inclusive Living, and Stirling Area Access Panel all received awards. Access Panels are groups of disabled people who volunteer across Scotland’s 35 Access Panels to improve access and inclusion in their local communities. Disability Equality Scotland is the umbrella body for the Access Panel Network and provides support and guidance as well as training opportunities and publicity. The Scottish Sensory and Equality Awards were organised by deafscotland at the Doubletree by Hilton on the 15 March 2019 and were jointly presented by deafscotland and Disability Equality Scotland. The awards were hosted by Kerry Ann Woodland of STV News and the night saw countless disabled people recognised for their tireless work on improving equality and sensory inclusion in Scotland.